I took one step and then another and soon I discovered I’d made a road. It was my road. No one before me had drafted its lines, no one before me had charted its course. It was mine and unknown, undiscovered and unpredictable. It was my own scary, wonderful road that would show me my way. My road would be my life, and it would all be up to me. My road would be my journey and the choices I would make, the experiences and people I would say “yes” to, and the curves away from those elements in life that I would choose to avoid. My footsteps would lead me forward, but there would be no shame in doubling back or resting at a beautiful viewpoint. Mis-steps would be labeled as scenics routes. My road’s merging lanes would be for friendships. The many roundabouts would be for mastering the lessons that are difficult to master and the dead ends would be reserved for the puzzles unsolved. My rest stops would be for dreaming. The many secluded turnouts would be for love. 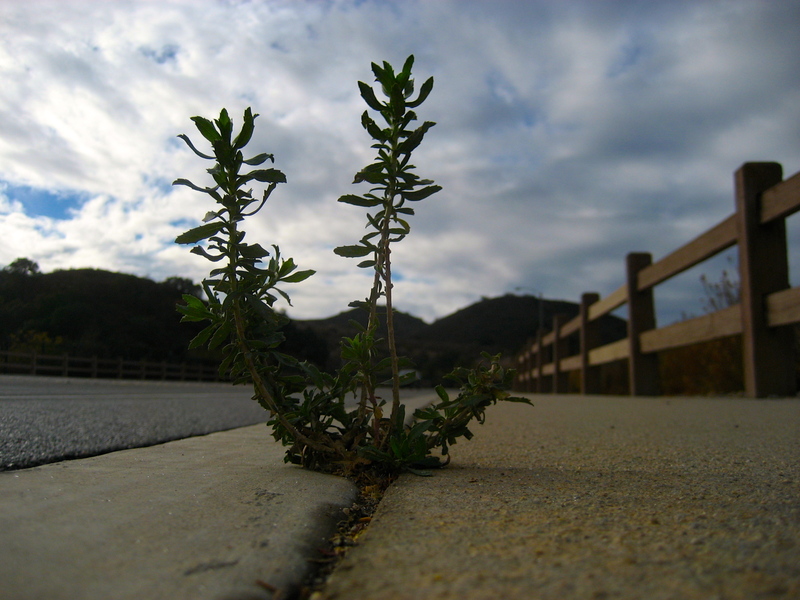 Cracks would be personal challenges and opportunities for growth. I might trip on them once in a while, if I wasn’t paying enough attention, but I would learn eventually how to handle myself and view the cracks as simple small obstacles that would be easy enough to bypass, if I could just muster up the tiniest bit of calm. If I could choose, and yes – I can choose – then my road would be a meandering, exploring one that would climb mountains, ford rivers, cross deserts and explore the woods and meadows to find hidden treasures and private beautiful moments. I would get lost in mazes of skyscrapers and find myself again in a row of small country stores. My road would intersect with roads made by other people, like minded and not, and I would be blessed to see the many directions that life can take, and the many lessons that life is filled with. At the very last moment I hope to realize that my road had no set destination, and that it had no stop sign to mark the end. I would share my road with anyone happy to journey with me, and I would be kind to all the weeds I’d meet along the way. Have yourself a weederful day, dear friends! As always …inspiring words 🙂 Wish you a wonderful Christmas !